Dining out is a fun indulgence. Who doesn’t enjoy having someone else cook? But if you’re trying to eat healthier, home cooking is the way to go. For the most part, even ordering lighter fare at restaurants isn’t as good for you as preparing food at home. Keep reading to learn why home cooking is a real value meal, and find tips for eating healthier on occasions when you dine out. The average American dines out 185 times a year, or three and a half times a week. Unfortunately, restaurant food may not be doing us any favors. In general, it’s high in calories, cholesterol, fat, and sodium. And the portion sizes are bigger than what most people eat at home. In a study of restaurant meals in five different countries, 94 percent of them contained more than 600 calories, which is the amount per meal recommended by health experts. And because restaurants need to keep food costs down, they typically choose lower quality ingredients than home cooks rely on. For example, most restaurants use highly refined cooking oils such as soybean instead of extra virgin olive oil, which is generally considered a healthier option. Many restaurants use large amounts of sugar and salt to enhance the flavor of dishes. And some restaurants use food additives such as monosodium glutamate (MSG), a controversial flavor enhancer that causes headaches, sweating, numbness, tingling, muscle tightness, and weakness in some people. Few restaurants source their ingredients from organic and local farms. And even when a restaurant says it uses organic ingredients, it’s hard to know exactly what you’re getting. That’s because restaurants aren’t held to the same organic certification standards as food companies. A restaurant can say its food is organic if it makes a “reasonable effort,” to use organic ingredients, which is a subjective standard. Restaurant food may also expose people to higher levels of potentially harmful chemicals than eating at home, according to a study of 10,000 Americans. People who ate out at restaurants in the study had 35 percent higher urine levels of phthalates, the chemicals in plastic that are linked with reproductive issues, asthma, obesity, and behavioral issues in children. Phthalates may leach into restaurant food when it comes into contact with packaging or food workers’ vinyl gloves. Fortunately, there’s a great alternative to eating restaurant food, and it’s as close as your own kitchen. People who cook at home six to seven times per week eat fewer calories and less fat and sugar without even trying, according to a study of nearly 10,000 adults. Plus, people who frequently cook consume more fruits and vegetables and are 28 percent more likely to have a normal body mass index and body fat percentage, according to another study. Of course, not all home cooking is healthy. French fries and boxed mac ‘n cheese don’t automatically become a health food when you make them at home. But because you have the power to choose your ingredients, cooking methods, and portion sizes, your meals can be as healthy as you want them to be. Cooking at home also encourages families to sit around the table and eat together, which is especially important for kids. 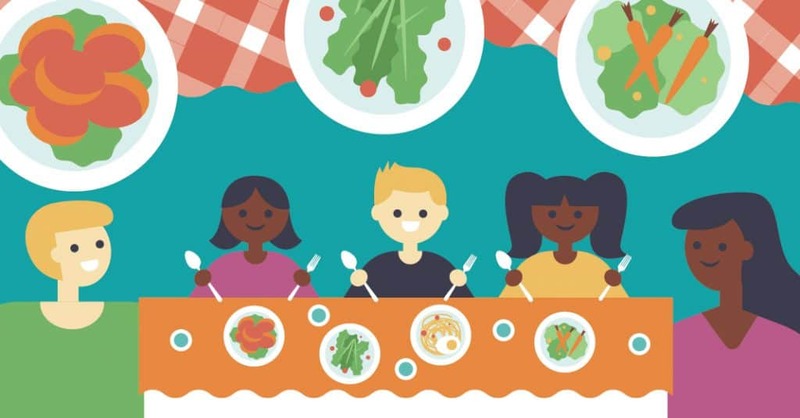 Children who eat dinner with their parents five or more days per week eat healthier, perform better at school, have better relationships with their parents, and are less likely to have trouble with drugs and alcohol when they’re teenagers. Eating out can be a relaxing treat, and indulging occasionally won’t harm your health as long as you eat nutritious food most of the time. But if you want to choose the healthiest options on the menu, try these tips. If you’re not paying attention, it’s easy to graze on too much bread and butter or chips and salsa before a meal. Or you may gobble up your meal without enjoying it and leave the restaurant feeling unsatisfied. No matter what you order when you go out to eat, slow down, chew your food well, and savor every bite. Alcoholic beverages tend to be high in sugar and calories. Plus, alcohol can make you feel hungrier because it lowers your blood sugar level. And it triggers your body to produce less leptin, a hormone that makes you feel satiated. Your local farm-to-table restaurant undoubtedly has more healthy meals than a diner or fast-food joint. If you’re in the mood for flavors from around the world, consider Japanese, Thai, Greek, or Indian options, which usually offer meals with plenty of fresh vegetables and antioxidant-rich spices. If you’re set on Mexican, beware endless bowls of chips and cheese-covered fried dishes. Instead, opt for a dish that’s light on cheese and rich in vegetables. Fajitas, bean burritos, and fish tacos are usually relatively healthy picks. Do you have a hard time making decisions under pressure? Find the restaurant’s website and peruse the menu before you go out. Don’t automatically assume dishes labeled “healthy” or “light” actually are. Read the ingredients to make your decision. Look for a dish that sounds tasty and contains balanced portions of nutrient-rich foods, such as lean protein, whole grains, and vegetables. Remember, restaurant meals tend to be big. Use your hand to help you judge how much to eat. A cut of meat should be about the size of your palm, and a side of rice should be about the size of your fist. Don’t worry as much if veggie portions are oversized since they’re naturally low in calories and fat, and packed with nutrients. Just ask for dressings on the side. The Japanese include “Enjoy your meals” in their government dietary guidelines. Americans would do well to follow that wisdom. Eating good food with good company is one of the most enjoyable parts of life. No matter where or what you decide to eat, don’t forget to enjoy your food. Research suggests you’ll digest it better, absorb more nutrients, and be less likely to overeat.